Unveiling of Thiruvalluvar Statue in the lawns of The CTK. 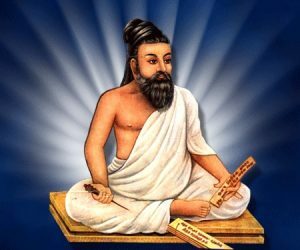 Thiruvalluvar is a celebrated Tamil poet and philosopher whose contribution to Tamil literature is the “Thirukkural”, a literary work on ethics. Thiruvalluvar is thought to have lived sometime between the 4th century BC and the 1st century BC. Thirukkural is one of the most revered ancient works in the Tamil language. It is considered a “common creed,” providing a guide for human morals and betterment in life. Thirukkural has been translated into several languages, including a translation into Latin by Constanzo Beschi in 1999. The CTK is proud to unveil the very first statue of Thiruvalluvar in North America. 9:00 A. M Worship Holy Communion. November 13th : Stewardship Sunday. November 20th Reign of Christ Sunday. November 24th : Thanksgiving Celebration. 10:00AM Worship /Thanksgiving Lunch/ Auction/ Sale. November 26th: Carol rounds begins at Pastor’s house with lunch and visitations in Rockland/Yonkers and Bronx. The CTK 37th Anniversary - April 26, 27, 28, 2019. Click here for details. Come, join us every Sunday at 9 a.m. for Tamil service! 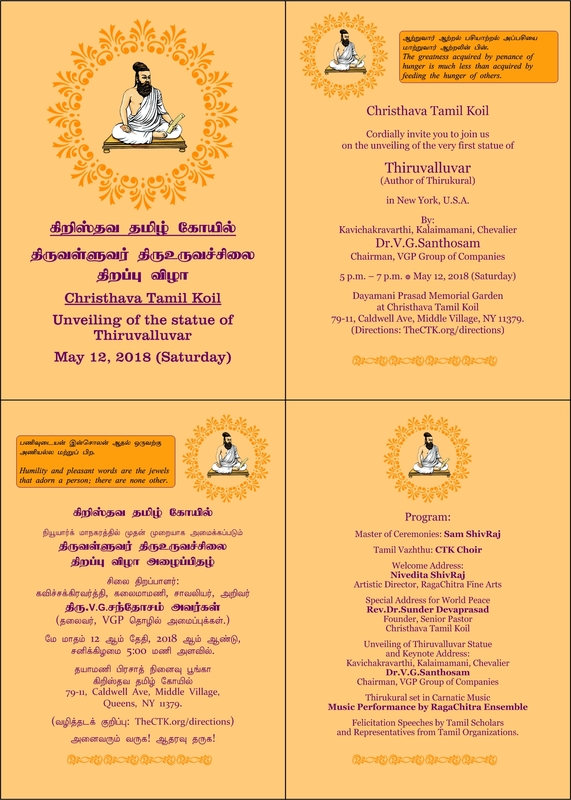 Christhava Tamil Koil, 79-11, Caldwell Ave, Middle Village, Queens, NY 11379. Phone: 917-446-6619.